To get the most out of balloon twisting, you need to play with as many different types of balloons as you can. This is where our Selection Pack comes in, offering you 7 bags, which is 700 of the most popular balloons used today by professional balloon twisters. If the standard starter pack doesn’t give you enough to play with, then the Deluxe Selection Pack will be more than enough for even the most demanding twister. That’s a saving of 14% OFF the normal prices. To get the most out of balloon twisting, you need to play with as many different types of balloons as you can. 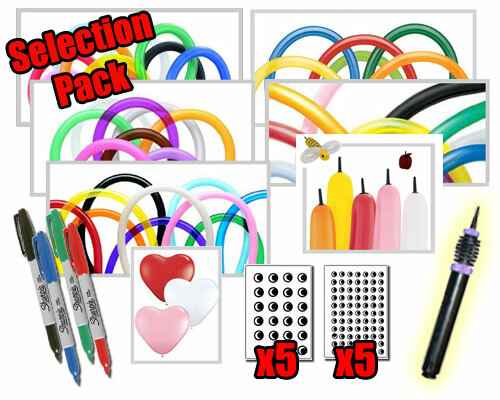 This is where our Deluxe Selection Pack comes in, offering you 7 bags, which is 700 of the most popular balloons used today by professional balloon twisters. If the standard starter pack doesn’t give you enough to play with, then the Deluxe Selection Pack will be more than enough for even the most demanding twister. a mixed bag of 100x Traditional Assorted Qualatex 260Q balloons. These are the most commonly used balloons in modelling. Their colour is strong and they withstand more handling than cheaper versions. Less popping means you learn faster, have more fun and fewer tears. 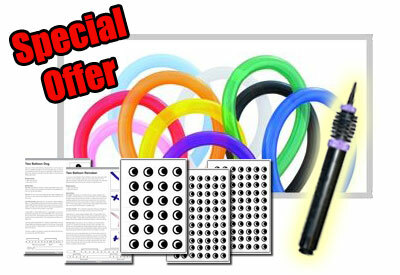 a mixed bag of 100x Entertainers Assorted Qualatex 260Q balloons. a mixed bag of 100x Traditional Assorted Qualatex 350Q Balloons. Larger balloons for much larger models. 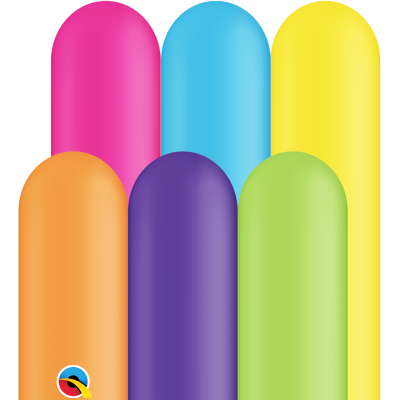 These balloons measure approximately 3″ wide and 50″ long. a mixed bag of 100x Traditional Assorted Qualatex 160Q Balloons. Much smaller balloons for smaller and more intricate models. 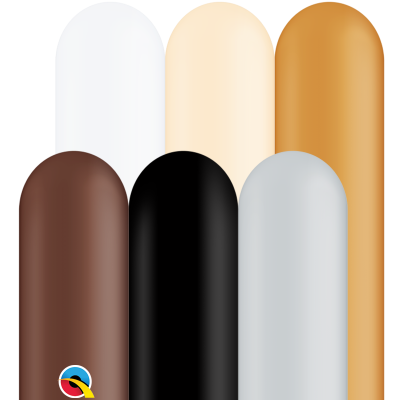 These balloons measure approximately 1″ wide and 60″ long. 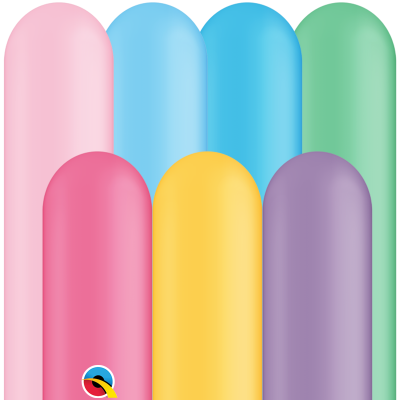 a mixed bag of 100x Assorted Qualatex 321Q Bee Body Balloons. These balloons are ideal for Bee’s, Fruit, flower vases etc. An unusual, but very useful balloon. a mixed bag of 100x Red, White and Pink 6″ Sweetheart Assorted Heart Balloons. Ideal for woman, people in love, valentines day, as well as faces, flowers, part of a helicopter etc. a small pump designed specifically for inflating modelling balloons. It has a double action which will pump air into the balloon when pumped in both directions. The size allows you to take the pump with you and practise, or perform anywhere. 4x Sharpie Pens, Black, Blue, Green and Red. Great for drawing fine details on balloons to give them that finishing touch. instructions for two simple but very effective models used professionally by many twisters all over the world. These are special models taken directly from the lecture notes of Gordon Drayson, a busy magician based in South London. … as well as the discount, we will also pay the postage, giving you FREE 1st class delivery on this package to any UK address.